Thank you so much for making HOPE FOR JAPAN such a memorable night. were warm and attentive. We raised ￡640 and still more people donating. The recent earthquake & tsunami in Japan have taken the lives of over 12,000 people with a further 15,000 missing. Still many people have been evacuated from their homes to shelters due to the nuclear crisis. These unprecedented events will take years to heal. We felt the need to do something to show solidarity with our friends in Japan. 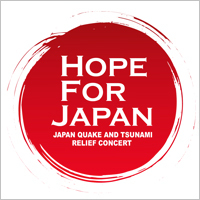 Hope for Japan is charity gig featuring some truly brilliant musicians and songwriters who will be helping us raise money. All proceeds will go to NGO JEN's Tohoku Earthquake efforts.